I travel for work – a lot. One of the coolest travel tricks I use came from fellow Photofocus author Doug Daulton. Every time I’d check a bag, I’d fill out one of the paper tags that airlines give for free on the ticket counter. Most times, it wouldn’t last the duration of the flight. Checked bags get tossed around a bunch, especially with connecting flights. So I was looking to order some plastic bag tags that would last and Doug recommended self-laminating luggage tags. These bag tags are great! I use the Travelon Self-Laminating luggage tags, but there are a bunch of different brands on Amazon that all do the same thing. They’re self-adhesive so I can keep a few blanks in my bag, they’re durable, and they look professional. How many times has your bag been overweight? Even by a few pounds? Most airlines offer media bags up to 75lbs, but require you to prove that you’re actually media. 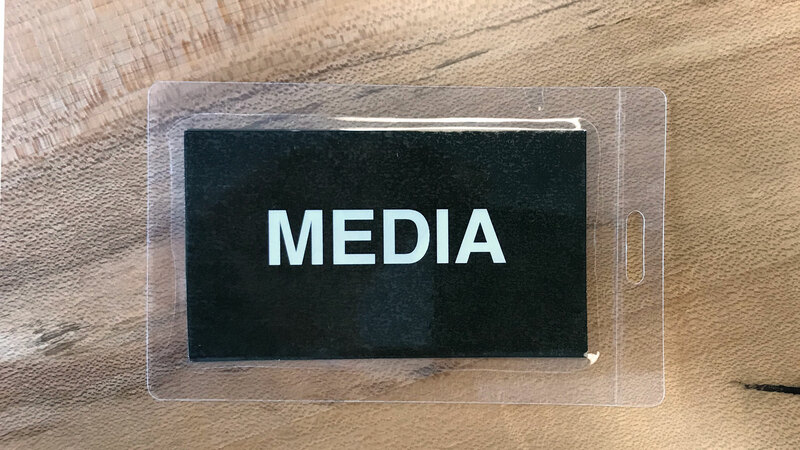 So the trick is when you make your bag tags, print out a label or order custom cards that say MEDIA on the back side in big, bold letters. When you stick them together, one side of the bag tag will have your business card contact info and the back side will have a MEDIA tag. Next time you’re at the counter, you can show the gate agent your media tag and get a media rate for your bag. It’s big, bold, and looks professionally made. It’s great! You can order a 3-pack of self-laminating luggage tags on Amazon here or a 10-pack here. It’s worth having them for every bag you own, and to keep a few in your travel bag just in case you come back from your trip with an extra bag. A word of caution: in the Trum era this may make you a target.